Please join the UCSF Department of Psychiatry, San Francisco General Hospital and Traumu Center, Edgewood Center for Children and Families, and San Francisco Child Abuse Prevention Center for a gathering in rememberance of our friend and colleague. A native of Maine, Graeme completed his undergraduate education at Yale University with a major in German Literature after spending one year as a student at the University of Heidelberg. He received his MD from Harvard University and then, after a rotating internship at Lenox Hill Hospital, completed his general psychiatry and child and adolescent psychiatry training at the Massachusetts Mental Health Center. Graeme was a faculty member at Harvard for 10 years before moving to the UCSF where he served with distinction for 24 years, rising to the rank of Clinical Professor of Psychiatry and Pediatrics, the position he held at the time of his death. Graeme was a nationally known and widely respected colleague. He was active in the American Academy of Child and Adolescent Psychiatry where he played crucial roles developing policy with respect to child mental health in schools and in systems of care. 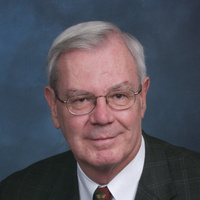 At UCSF, he held numerous positions, including psychiatric consultant for the nascent Infant-Parent Program at San Francisco General Hospital, Director of the Langley Porter Psychiatric Institute Child and Adolescent Psychiatry Inpatient Services, Director of Clinical Services in Child and Adolescent Psychiatry at Langley Porter and Medical Director at the Edgewood Center for Children and Families. But Graeme may be best known for his many years of dedicated service as an educator, especially in the role of Child and Adolescent Psychiatry Training Director at UCSF. In this latter role, he shaped the lives and careers of generations of child and adolescent psychiatrists. His passion for teaching and his support for his trainees continued until a few days before his death, including sending instructions about coverage for his supervision and course from his hospital bed. Graeme is well-remembered as a wonderful friend, colleague, mentor, and member of our community. He was a masterful clinician who was dedicated to the highest standards of care for his patients, young and old. Graeme was indomitable despite his soft voice and kind nature, and while he was both knowledgeable and wise, he shared himself and what he knew with remarkable grace and humility. Graeme loved his students and they loved him. There is little doubt that he would be pleased by the reflections of one of his current students on hearing of his passing: "Graeme was such a gem of a person with wisdom, compassion, thoughtfulness, curiosity and a sense of playfulness and joy. I felt known and seen by him."